Mike Diana put out an underground comic called Boiling Angels that featured all sorts of nasty things which Diana hoped would push people's buttons and get people thinking about the sorry state of the world. A town in Florida found hat he was doing shocking and they charged and convicted him for obscenity- in 1992. What happened to Diana should be unbelievable except that it really did happen, he really was charged, he really was convicted and really was ordered not to go near children and never to draw again. We would love to hope that it was a minor blip in the way of the world but the current state of America with simple battles about what is true make is almost a dead certainty that this is going to happen again. Frank Henenlotter's micro budgeted feature is therefore a needed warning about what did and could happen. 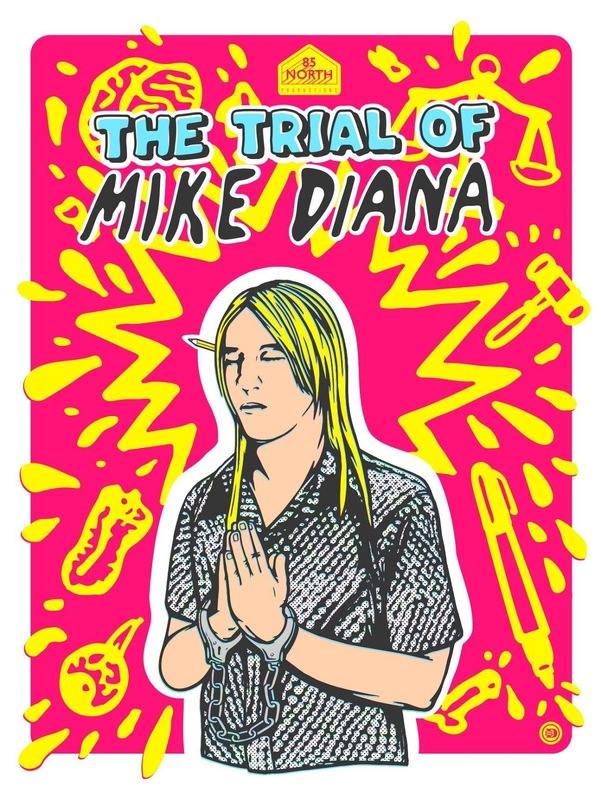 Talking to all the people involved, including the prosecution, who get to tell their story (which they are sticking to), BOILED ANGELS is everything you need to know about what happened and why. Because of it's warning the film is a must see. As important and vital as I think the film is, I wish the film were better put together. While everything we need to know is here, the ordering is not quite the best. Bouncing through time in places the film feels more like a series of digressions. The use of Diana's art has mixed effect with some bits being spot on, and others just sort of laying there. The unevenness of the assembly made this a film I admire more than I like. A must see because it is vital in a world where free speech is in danger, BOILED ANGELS plays again July 18th at Fantasia. For more information and tickets go here.